Stephen Catalano is a local, certified and licensed senior healthcare broker with BGA Insurance Group. He services Chester, Montgomery, Berks, Lehigh Valley, Bucks and Philadelphia PA counties. 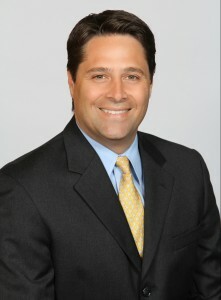 He is also licensed in the states of New Jersey, Delaware and Florida. Stephen’s core values and beliefs are what drive the decisions he makes every day. His mission is to best serve seniors and their families as they plan their Healthcare when approaching or during retirement. Stephen has been in the insurance business for 15 years and is licensed with over 20 different insurance carriers. He has the experience and knowledge to help you make sense of Medicare. Medicare can be complex, frustrating and a confusing process. Let Stephen help you understand the major parts of Medicare and in an unbiased view, find the right plan that specifically meets your needs. Whether you are already on Medicare or you plan to be in the near future, please consider Stephen Catalano as a resource to help you navigate through this complicated process. There are NO consultation fees. If you have been on the same plan for more than 4 years you should consider a review. In most cases Stephen has helped numerous people save money on their monthly premium while continuing to use the exact same Medicare plan. family enjoys traveling, biking and skiing.